I would like to identify this chalice. It doesn't seem Italian to me, but I don't know which other country. Maybe Spanish? I couldn't see the marks earlier but I think your piece is from Belgium. I would ask Peter (OEL) as he is very knowledgeable on silver from the lowlands. From my limited resources I think it's from Brussels to be more exact but again I would wait for more knowledgeable members to comment. Brussels, I do not thinks so. I fail to see the lion rampant and the head of St. Michiel with the cross . The mark in the middle, 2nd mark could it be a deformed hand(?) for Antwerpen . Unfortunately I have no access to my library. 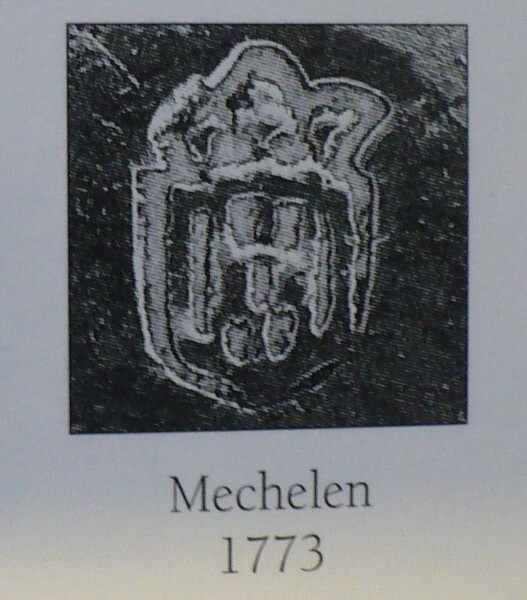 The maker's mark could be a beaker/vase/flower pot and perhaps for Antonius Deraedt (1727-1818) . Waiting for confirmation by Diva.